Since their early days in youth sports, most athletes have listened to coaches constantly encourage them to train hard. Therefore, it’s safe to say that all athletes understand the importance of hard work in the gym. Only a fool would suggest otherwise. Unfortunately, while common sense may exist inside the gym, it often flies out the window when the lights go off and the doors shut. 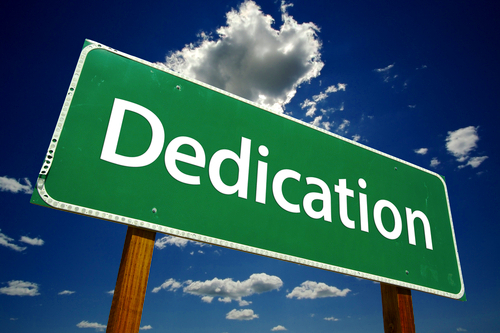 Many athletes fail to recognize the significance of dedication and sacrifice outside the gym. In the video below, I discuss the importance of dedication and sacrifice. As mentioned within, this is one of those topics where I wish I didn’t have personal experience to share. Regrettably, I know all too well about making poor decisions outside of the gym. Hopefully there are some young athletes out there who can learn from the mistakes that I made many years ago. As a youngster, I always trained hard and competed, but the dedication that I had on the field or inside the ring didn’t always come home with me. During my teenage years, I often surrounded myself with the wrong people and made many poor decisions. And it was the accumulation of those mistakes that ultimately ended my athletic career. In summary, working hard at practice or inside the gym is only one piece of the puzzle. Success as an athlete requires more than a few hours of dedication each day. Often times, it is the decisions that an athlete makes outside the gym that ultimately dictate his future. Loved the video Ross, one thing I can tell from experience that kills dedication and “corrupts” your work ethic is bad neighborhood and bad influence from your environment. That’s why it’s important to surround yourself with guys who are ambitious and dedicated in and out of the gym. I hope you had a lovely Christmas, Ross, and best wishes for the New Year! Just about to head out for a workout in the winter morning air.